Congratulations to Giveback Homes member Robb Stroyke for closing the most expensive home ever sold in the Hermosa Beach area. 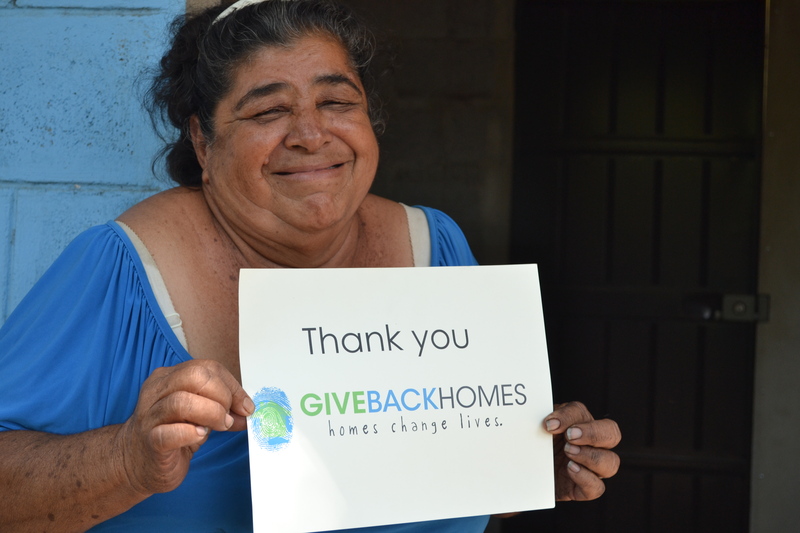 We are even more proud to say that Robb has funded two homes for families living in extreme poverty in Central America. Robb is funding the homes on behalf of his clients, the Lopez family, who made all this possible by working with a member of Giveback Homes. Thank you to Robb for making a difference and helping change lives through homes! The two homes were completed at the end of February for the Hernandez and Cano families. Ana Adela Santana Hernandez is a 34 year old single woman who has one child: five year old Alexandra Herrera. She lives with her two sisters: 36 years old Adriana Vanessa Jimenez, who has two children: ten year old Jose Isaias Umañaz Hernandez and six year old Jerson Matias Jimenez Hernandez, and 37 years old Jorlenis Carolina Jimenez who has a 12 year old boy. All the women in this house are single mothers. At an early age they became orphans and all of their lives they have been struggling to sustain themselves and have a better future for them and their children. The three sisters wash and iron other people clothes in the community for their everyday living expenses. The family lives on $1.33 per day. In total 7 people are living in a reduce place no more than 380 ft2. Their wood house is unsecured and in bad conditions. 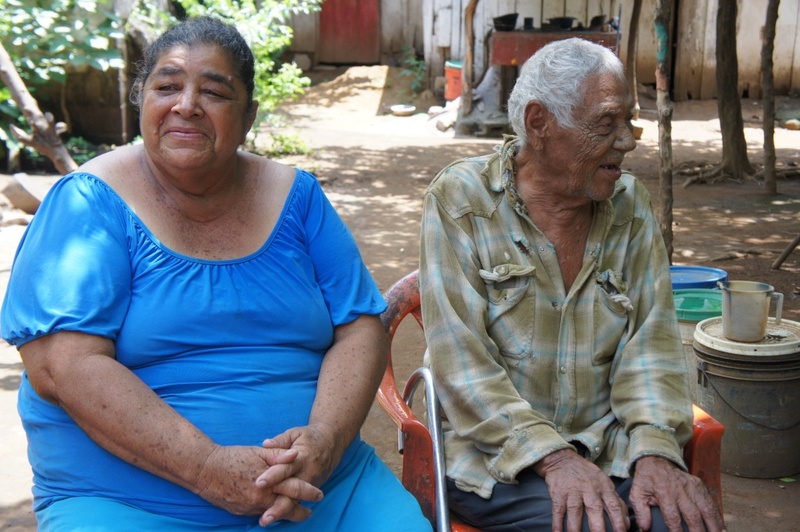 Mayre de Jesus Cano is 61 years old and is married to Onofre Trinidad who is 104 years old. They have a son named Pedro Cruz who is 44 years old, and suffers from a mental disorder and their granddaughter Mayra Cruz who is 9 years old. Both are retired, meaning that they cannot work because of their age, and health conditions, such as arthritis, diabetes, etc. but they receive a pension of $159 monthly, equivalent to $1.32 per person daily. 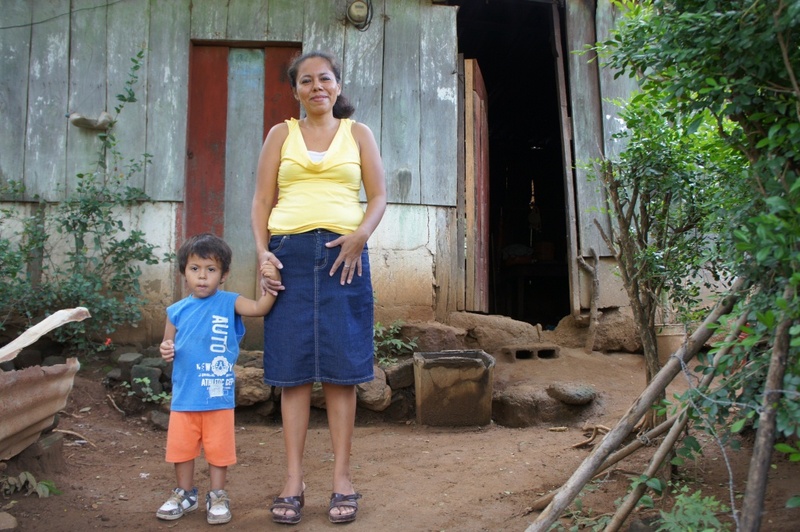 This family lived in an overcrowded and unstable conditions; their house was made of old wood and dirt floor. They had a latrine and drinking water. Their stove was inside the house because they don’t count with sufficient economical resources to build a kitchen outside the house. This can be harming to the families health since the stove expels a lot of smoke and they inhale it, and can cause future illness. 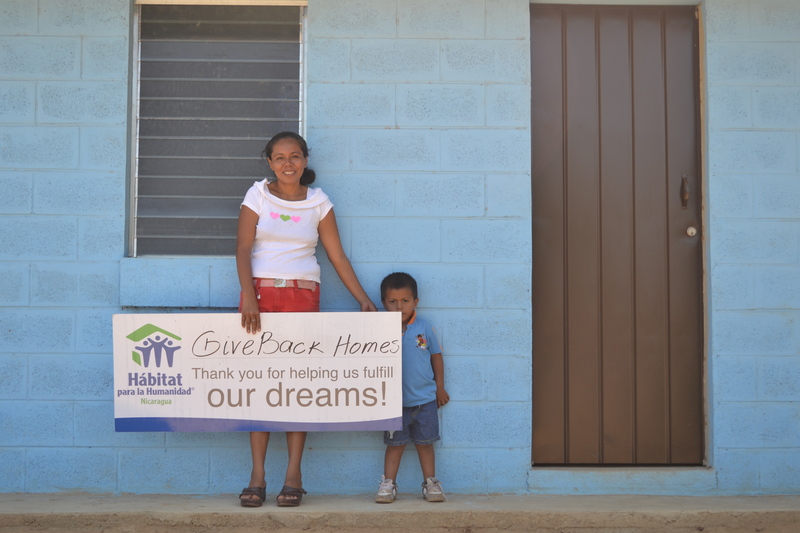 New homes will truly change the lives of these two families and Giveback Homes is proud to make their dreams come true. Robb also hopes to join Giveback Homes on a trip to Central America this Spring to see the families in their new homes. Find out more about how you can join Giveback Homes in making a differencehere.